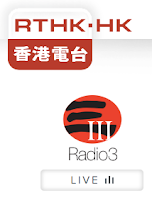 Associate Professor Amanda Whitfort was interviewed by Annalie Chow on RTHK Radio 3 last Saturday (28 July) concerning Hong Kong's major role in the illegal trade in endangered species in Asia. Whitfort is currently researching legislative methods to improve protection for endangered species smuggled into and through HK, particularly for use in traditional Chinese medicine. Utilising a KE Impact project grant to work with the Kadoorie Farm and Botanical Garden, and a larger grant from the Research Grants Council, Whitfort has prepared 33 victim impact statements for use in wildlife crime prosecutions. The statements describe the effects of crime on the most commonly smuggled animals routed into and through Hong Kong, and may be used by judges to inform sentencing decisions in our courts. She is also preparing a report calling for legislative changes in Hong Kong to better protect endangered species. Her full report will be released to the government and the public in early 2019. The radio programme can be heard here.